Aesthetic Media is a web and graphic design company based in Twickenham offering full, non-jargon web development services. We are well aware of the worries and fears associated with taking on a design project for you business but it doesn't need to be! We like to make it exciting, free-flowing and of course, fun! This is done by sitting down and asking you what you want, then establish what your business is about, what you are trying to achieve and who you are trying to reach. Over the years we have fine tuned the process used in all projects. To ensure that it is as smooth and enjoyable for both you the client and us. Based on the brief and ideas you give us, we build a detailed overview of the project, including mock-ups, timescales and expectancies. We work with our clients to plan, develop and deliver highly successful design projects. We’re also pretty good at all things brand and print. Specifically researched keywords for your business, allowing customers to find you quickly and easy in search engines. All aspects of design, including logo, printed artwork including business cards, leaflets, brochures and promotional items. One-to-one training and detailed, bespoke training documents to allow clients to update their websites post launch. Your logo defines who you are, what you stand for and should be the backbone of recognition to your customers. Let's help make that happen. Engage and involve your customers with strong, well designed responsive email campaigns and promotional e-shots. 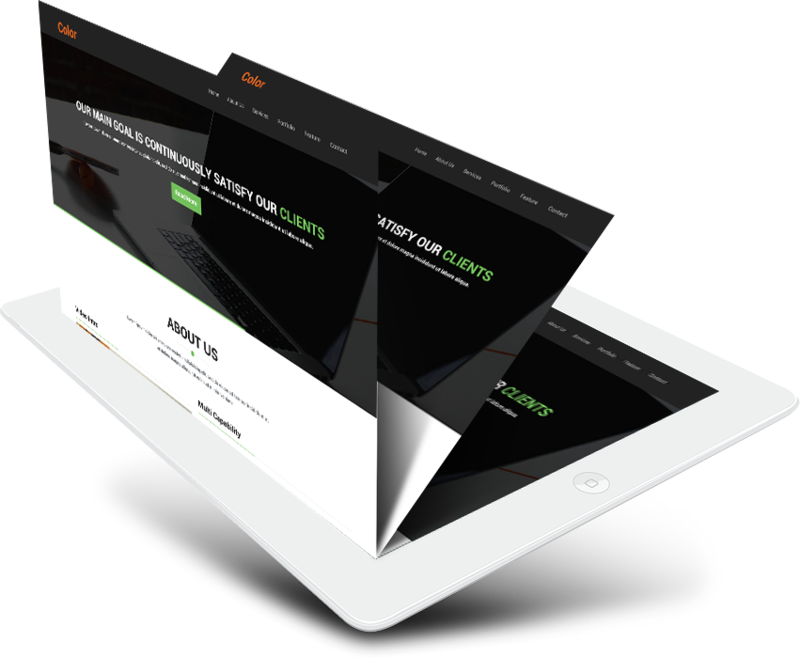 By utilising the power of responsive web design we can develop your site so it looks as good if not better on phones and tablets. Once the website was online, I saw a noticeable increase in both nannies and families registering from around the country who were moving to new areas rather than just in the locality. Enquiries went up as people were able to access such a comprehensive and easy site to navigate and get required info so wanted then to look round. Current and prospective parents have commended the website for its ease of use and navigation. It also compliments the logo and whole feel of the nursery. A great service and final product! Simple and effective, the presence of the site online has boosted numbers and awareness tenfold. At this rate, soon we'll have to start turning them away for lack of room!! Another great logo, website and branding package, am very happy with the way the styles and overall feel was consistent with the other nursery websites and branding. Continuously turns out great and refreshing artwork for our productions and events, keep up the good work Aesthetic Media!! Thanks for a great logo and stationery package, this gives my business a much needed professional and established look. I was most impressed with the logo as it was created from scratch from a sketch I produced and I can't even draw!! Thank you once again for the work and the 'hand holding' service with the printers which have been otherwise very confusing!! A great service that was explained through every step of the project, we now have a nice solid image for the company!! I am very pleased with the business card, leaflet and animated logo, I would never have thought of those colours but it works so well!! I have used Aesthetic Media for over 15 years for all of my web design, graphic design, branding and promotional work. They have always delivered at a high level and so thankful for the marketing and social media work they have done for the practices. Thank you for your flexibility and patience when designing the leaflets, we got there in the end!! Great logo and business card, the results were outstanding with the silver-leaf print, I'm the envy of all at Pinewood Studios…!! Aesthetic Media hit the mark (not literally) with the design of my business/show card, so much more professional than a number scribbled on paper! Always happy to recommend these guys for design work. Great service and people, logo is smashing! Will call on you guys when I want the website for sure!! Michael at Aesthetic Media designed the logo for my company Love Miss D Photography. He works with fluency, and has a natural ability to interpret a brief and generate creative ideas. Having worked alongside Michael his flexibility, and the ability to switch from one perspective to another plus his originality in picking unusual associations of ideas is second to none. An extremely professional and conscientious individual. I would definitely recommend contacting Aesthetic Media if your requirement is for originality, that stands out from the crowd. Then drop us a line, we'd love to hear from you!